Rolex Cushion Style Watches With Movement Reference 59 or FF30. The Rolex Canadian market Oyster watches date back to the late 1930s and are some of the most affordable vintage Rolex watches available on the used watch market today. 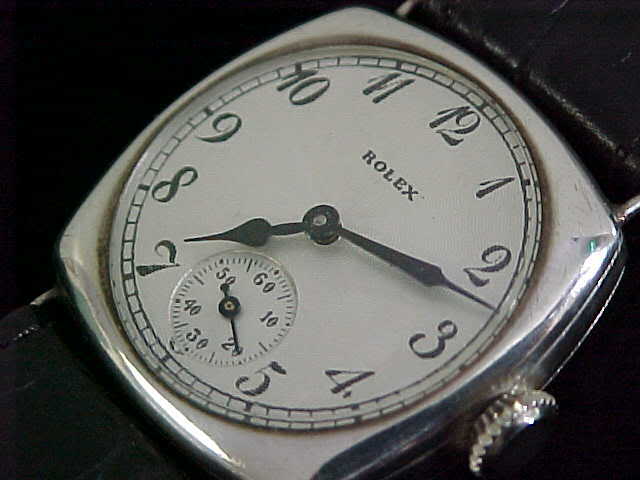 They differ from Swiss marketed Rolexs in that they used a Rolex modified ebauche movement made by Fontmelon, their caliber FF30 subsequently renamed the Rolex caliber 59. The movements were stamped Rolex Geneve on the top plate and were not engraved or stamped Rolex on the bridge. 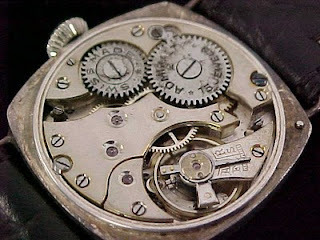 On some variations of the movement, the bridges were engraved with the name Oyster Watch Ltd. 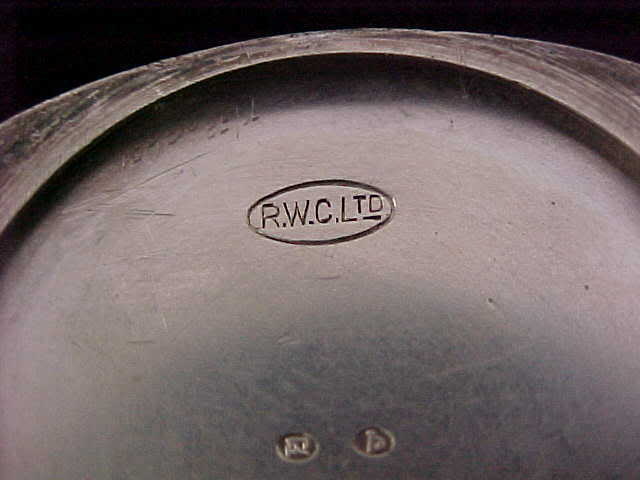 The Rolex Canadian Oysters used a Rolex Oyster watch case with a Rolex Oyster Patent crown. The various models marketed included names such as Oyster Centregraph, Oyster Lipton, Oyster Junior Sport, Oyster Raleigh, Oyster Commander, Oyster Recorda, Oyster Edison, Oyster Grenfell, Oyster Standard and Oyster Shipmate. 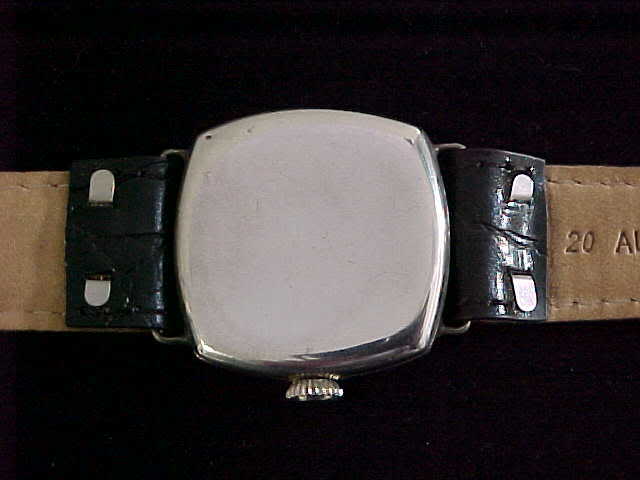 These watches were most frequently sold in gold-filled and stainless steel Oyster cases. These watches are frequently seen with 24-hour military dials and as such, many were given as gifts to soldiers departing for active service in Europe during World War 2. Many of the watches returning to Canada came back with the servicemans registration numbers engraved on the rear of the case back. spelled out on the dial, which was simply signed Eaton's. There was no mention of Rolex or Rolex Oyster on the dial's of the Eaton's 1/4 Century Rolex watches. Some of these watches were manual wind Rolex Oyster or automatic Oyster Perpetual models. 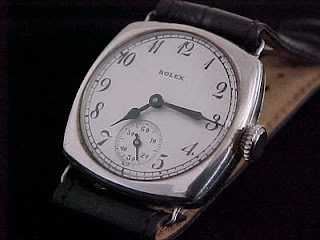 Earlier watches given out in the 30's through to the 1950's, were famed Rolex Prince models. Women were given a unique Rolex model as their 1/4 Century watch. The other variation of the Canadian Oyster isnt actually Canadian, but American. The American retailer Zell Brothers sold Canadian Oysters under their store name Zell Brothers and the model name Turtle Timer, These watches usually had the movements marked Oyster Watch Ltd. And are highly sought after today. Water Damaged Rolex DateJust 3035 Movement. This men's Rolex DateJust was damaged by sea water. The crown gasket and case tube gasket failed. It is amazing how much water got into the case which caused very extensive damage. This picture shows the damage to the movement when the case back was removed. After the movement was removed from the case and the oscillating weight was removed it was noted that both reverser gears as well as the large brass winding wheel were all damaged, all needed to be replaced. It was interesting to note that with all of the water damage the balance wheel was untouched by the water. This picture shows the amount of water that got under the plastic crystal. 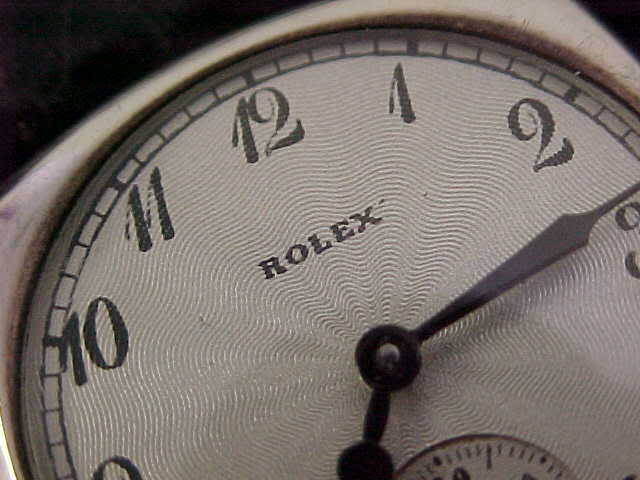 The dial is now in the process of being refinished to its original condition. 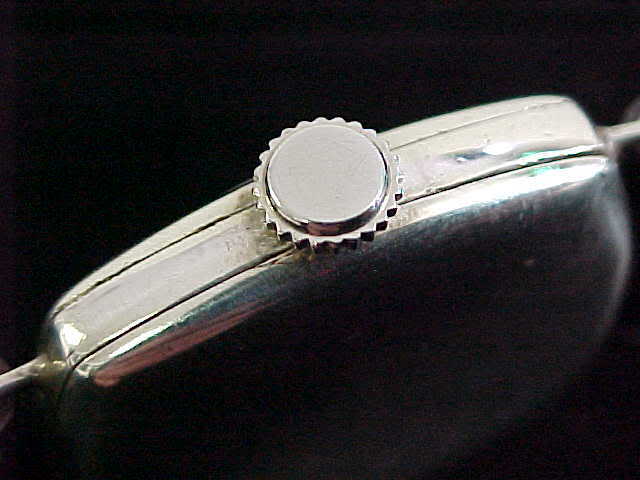 The date ring was also damaged and needed to be replaced. Another view of the water damage under the crystal. 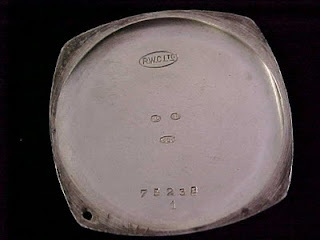 This shows the extensive damage that was done to the dial. The total restoration of this Rolex is now well underway. All damaged parts that need to be replaced are in stock and we are in the process of refinishing the dial to its original condition. Each part of the movement has been removed and each part is being hand-cleaned of rust using fiberglass brushes. After all of the rust is removed the movement and all of its parts will be cleaned using our automatic cleaning machines. When this movement is completed it will be good as new and will again provide its owner with many more years of service. For more information about our Rolex repair service please visit our web site at Horologist.com.